Some of you have already received an invitation to join the new group. Others will be receiving an invitation shortly but you don’t have to wait for an invite. 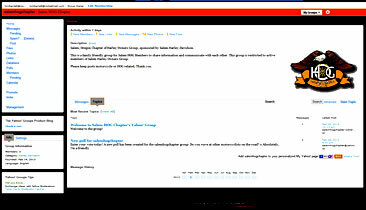 Yahoo links on our home page have been updated to the new group. You may go to http://groups.yahoo.com/group/salemhogchapter/ to join the new group.